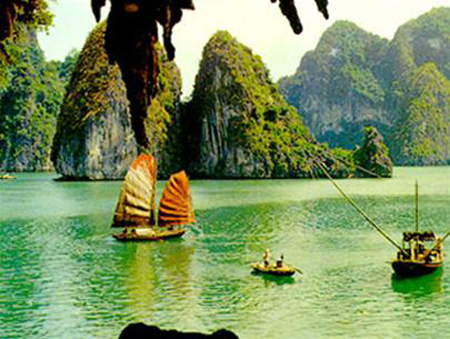 China has the highest number of representatives registered to attend the 4th International Conference on Vietnamese studies and they have already expressed concerns about the Paracel and Spratly islands. The international conference with the theme of Integration and Sustainable Development will be held in Hanoi on November 26-28. This conference will help boost Vietnamese studies in many countries such as South Korea and the US, and a Vietnamese academic network in Europe. The event will also contribute to policy planning in Vietnam. The conference has received 1,300 papers from domestic and foreign academics. The organisers will select the most outstanding papers for presentation at the conference which will focus on Vietnamese history and culture, the integration and development of Vietnam and how to implement social, ethnic and religious policies. Tran Duc Cuong, head of the Academy of Social Sciences’ Department on Social Development and Management in the Integration and Sustainable Development Process said the organisers had classified the papers. Chinese academics had sent the most topics with 36 papers, followed by Japanese with 19, and 10 from South Korea and Thailand. Russian academics also sent 11 topics, 12 were received from the US and 7 from France. Though most of the topics sent to the conference are about integration and development, the Chinese submissions heavily focused on the Paracel and Spratly islands. Cuong said, "The organisers didn’t expect such a high number of Chinese academics and researchers. The Chinese really study a lot about Vietnam in many fields, especially in terms of the Paracel and Spratly Islands. We'll hold talks with the Chinese academics about the issue after the conference."